In recent years, some horrible stories of child sexual abuse in Orthodox settings, such as schools and summer camps, have rocked the religious Jewish community. A phenomenon that used to be underreported and largely taboo has come to light, and the fact that people are now speaking and writing about it more and more in our community is a welcome development. However, just talking about it isn’t enough. Most of us entrust our children to the care and supervision of other adults on a near-daily basis. We choose their educational settings based on a variety of factors: educational philosophy, religious affiliation, proximity, the recommendations of our friends and family and others. We rarely ask to see academic degrees and certifications; most of the time, we simply rely on the fact that a teacher or counselor has been hired by an institution we trust as evidence enough that that person is qualified to work with children. Do we know, though, what kind of vetting process the institution requires when hiring the people who will be spending so much time with our children? The management may enforce safety policies to keep the children safe from various physical hazards such as fires or drowning, but what about child sexual abuse? Why is it that every 5-year-old knows to stop, drop and roll when there’s a fire, or how to dial 911, but not what to do if an adult is touching a child inappropriately? This is especially concerning when it comes to summer camps. Summer camps are more of a temporary setting than school is; they generally last several weeks at most, and counselors don’t need nearly as many qualifications as teachers do. If it’s a sleepaway camp, the lack of regular contact with the parents makes the kids more vulnerable and dependent on the adults who are caring for them. These conditions can make summer camps an especially ideal setting for abusers. We don’t need to reinvent the wheel here. The information is out there, freely available, and all we need to do is ensure that the places we send our children have policies in place to protect our children from sexual abuse. 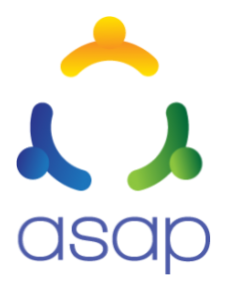 For example, ASAP offers a free, comprehensive package to summer camps that includes training for camp directors, counselors, and parents on sexual abuse prevention, and it’s geared toward the Jewish community. Other organizations that offer this kind of training include Lauren’s Kids and Stop It Now. Sexual abuse prevention training should be a standard and mandatory requirement for all summer camps. When we’re asking about how the camp handles medical emergencies or prevents fire hazards, we should also ask about the camp’s sexual abuse prevention policy. If the staff stutters or shrugs, we can refer them to one of these programs, and if they don’t follow up on it, we can take our business elsewhere. Abuse prevention requires raising awareness, implementing rules that prevent children from being left in vulnerable situations with adults, and setting up a system for responding to complaints or concerns — and this isn’t rocket science. As parents, all we have to do is call, ask, refer, and follow up. It’s so easy to shake our heads and cluck our tongues at other people’s misfortunes. It’s a lot harder to face the adults who are going to be caring for our children and acknowledge the possibility that they, or their employees, may harm our child in such a despicable way. But we have to. The emotional, mental, and physical well-being of our children depends on it.